Speculation over Brexit saw the Pound Sterling to Canadian Dollar (GBP/CAD) exchange rate come under fresh pressure ahead of the weekend. Markets were unsettled by suggestions that the proposals set out in Theresa May’s Brexit white paper could rule out a UK-US trade deal. This naturally spooked investors, leaving Pound Sterling (GBP) on a generally weaker footing on Friday. The news also offered fresh ammunition to Brexiteers who were already unsatisfied with the white paper, raising the risk of a leadership challenge against May. GBP exchange rates look set to remain under pressure as long as this sense of political uncertainty hangs over the UK, especially if the EU also pushes back against the latest Brexit proposals. Commentary from Bank of England (BoE) deputy governor Jon Cunliffe could offer the Pound Sterling to Canadian Dollar (GBP/CAD) a rallying point, however. Investors are keen to get further insight into the mood of the Monetary Policy Committee (MPC), continuing to weigh up the odds of an imminent interest rate hike. If Cunliffe sounds a more hawkish note in his comments this would offer support to the Pound, giving GBP exchange rates an opportunity to stabilise in the short term. However, signs of reticence over the domestic outlook could exacerbate the weakness of GBP exchange rates. With markets already pricing in relatively high odds of an August interest rate hike the upside potential of Pound Sterling still appears limited either way. 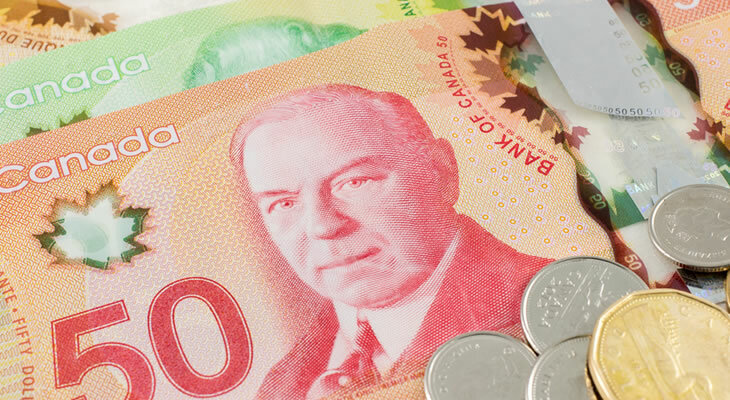 Fresh weakness could be in store for the Pound Sterling to Canadian Dollar (GBP/CAD) exchange rate next week on the back of June’s Canadian inflation data. Forecasts point towards a solid uptick in domestic price pressures, pushing the headline consumer price index up from 2.2% to 2.5%. This could fuel bets that the Bank of Canada (BOC) could continue to tighten monetary policy over the coming months, to the benefit of the Canadian Dollar (CAD). Even so, if global trade tensions continue to worsen over the coming days CAD exchange rates may struggle to find any particular momentum. Focus will also fall on the latest UK inflation data, which could give the BoE additional incentive to raise interest rates at its August policy meeting. Any disappointment, however, would leave the Pound Sterling to Canadian Dollar (GBP/CAD) exchange rate vulnerable to fresh losses. Previous ArticlePound to Euro Exchange Rate Forecast: Potential for Post-Brexit UK-US Trade Deals Damaged?